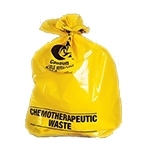 ChemoBlock™ Spill Kit is designed for safe and fast clean-up of chemotherapy drug spills. 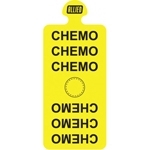 It is packaged to facilitate compliance with OSHA and ASHP guidelines. 1 scoop and brush set; and 1 report form. Each training kit contains fluorescein dye vials/ampoules, UV light*, training manual with certificate application, prep mats and transport bags.